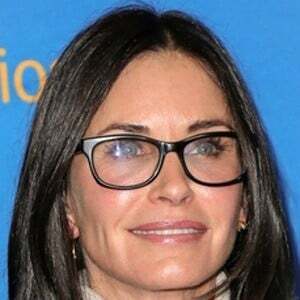 American actress who became known as the obsessively neat Monica Geller on Friends , and later received a Golden Globe nomination for her role on ABC's Cougar Town . She played the role of Gale Weathers in the horror movie series Scream and founded Coquette Productions. She played Wendy in the film Bedtime Stories . She married David Arquette in 1999. They had a daughter named Coco in 2004 and divorced in 2013. She was then engaged to Snow Patrol singer Johnny McDaid for about a year but the couple split in late 2015.